There aren't many venues that allow you to enjoy world-renowned food and party at the same place, but Lavo has created a club and restaurant that offers the best of both worlds! 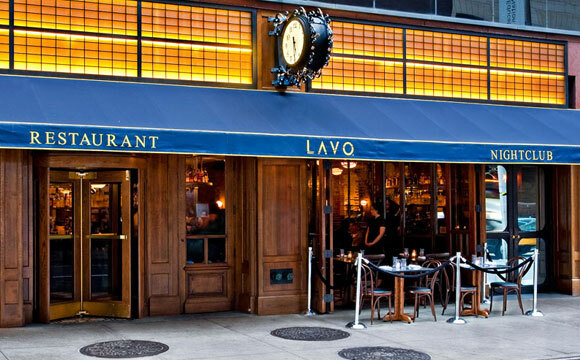 By day, Lavo is an elegant and classy restaurant where upscale brunches and dinner parties are the norm. By night, Lavo is a hopping nightclub that is regularly visited by today's most prominent stars. Lavo has become a highly exclusive venue due to its high profile clientele, but New York City VIP Services will whisk you past the line and through the front doors with no problems so you can enjoy the club like you're one of the city's top players. Call or email New York City VIP Services today to book your reservations and get ready for a night at one of New York's hottest spots, Lavo! Call 315-212-5068 or email info@nycvipservices.com for a free quote on a VIP party or dinner at Lavo. Whether you're looking to hold a fancy business dinner party during the evening, or a rockin' VIP party with your friends at night, Lavo is a great venue for any occasion and New York City VIP Services will get you hooked up with the best of everything. Lavo has an enormous selection of dishes you can enjoy at any time of day. 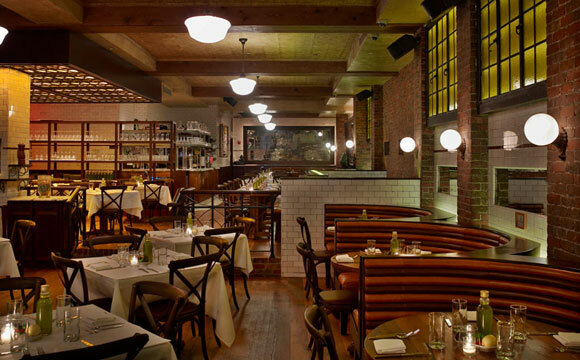 Lavo's Italian influence comes from years of experience from their talented and cultured chefs in the kitchen. 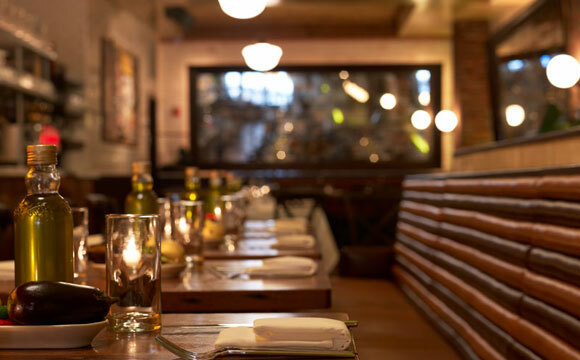 Of course the origins of Italian food comes from Italy, but there is no question that it was perfected right here in New York and Lavo is a prime example. This restaurant does not limit itself to only Italian food, though. 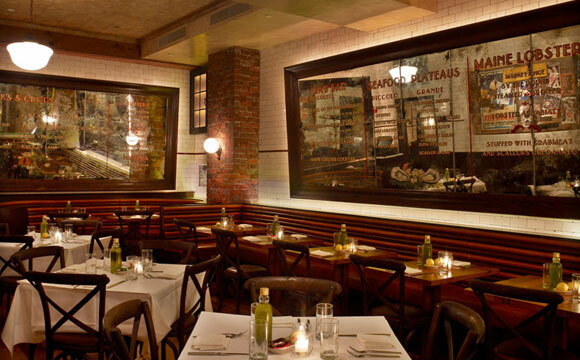 Lavo also serves up some of the best steak and seafood in Manhattan. If you haven't been to the Big Apple in a while, you may be surprised to hear that Saturday brunch is the new thing all over town. Many of New York's cafes and restaurants have hopped on the bandwagon and started offering their own spin on the midday meal to embrace its newfound popularity. Lavo has succeeded in becoming one of the frontrunners in the competition between venues to create the best Saturday brunch, mixing some of their already famous lunch and dinner dishes with amazing new breakfast dishes. 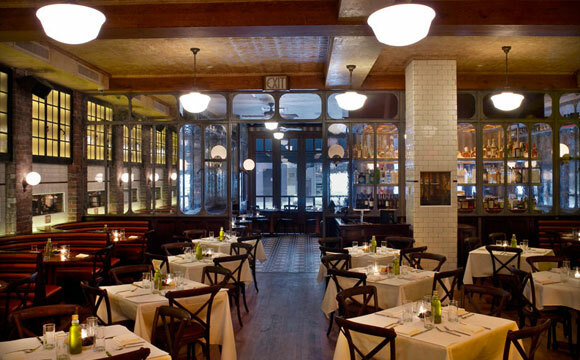 Sadly, making reservations at Lavo is not easy. Most people go to Lavo expecting to be able to walk in, be greeted by the hostess, and immediately be escorted to the table of their choice. Unfortunately, this is not at all the case, in fact, they are sometimes booked solid through the entire night which means you may not be able to eat there at all! Even Saturday brunch is almost always filled to the point that no more guests are allowed in. Luckily there is New York City VIP Services who will not only make sure you have reservations, but will also make sure your reservations aren't replaced by some millionaire offering the club more money to take your table when the place is full. Call 315-212-5068 today or email info@nycvipservices.com to get your prime reservations at Lavo for dinner or Saturday brunch. We will ensure that you have the best reservations the restaurant has to offer and you will be blown away by Lavo's unbelievable food and service.